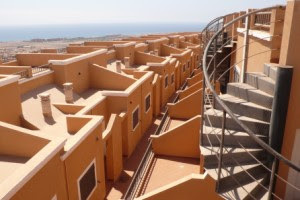 This beautiful townhouse in Caleta de Fuste is an unmissable opportunity. It offers you 2 bedrooms, 2 bathrooms in a great area with panoramic views of the coast from the terraces over 37 sqm. You will not believe it but this house could be yours for only 61500 €.